The word “worship” is used frequently today in Christian circles—in addition to worship services, we now have worship choruses, worship teams, worship manuals, worship seminars, etc. Often, however, the basic meaning of worship is misunderstood. In the original Hebrew and Greek, the words translated “worship” mean simply to “bow down”! The Hebrew is so translated the first time it is used. When Abraham saw God and two angels approaching, “he ran to meet them from the tent door, and bowed himself toward the ground” (Genesis 18:2). That is, he recognized God’s “worthy-ship” and was submitting himself to do His will. The last time “worship” is used is when John “fell down to worship before the feet of the angel.” He was corrected by the angel with these words: “See thou do it not: . . . worship God” (Revelation 22:8-9). Only God, our Creator and Savior, is worthy of true worship, and that worship involves simply bowing down in submission to do His will. That is why it must be “in spirit and in truth.” Our spirit must submit to God who is Spirit, and this can only be in truth. Remember the words of the Lord Jesus concerning the Spirit whom He would send to indwell His followers: “When he, the Spirit of truth, is come, he will guide you into all truth: . . . He shall glorify me” (John 16:13-14). 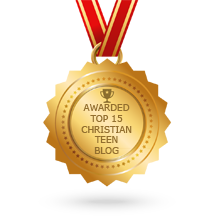 This entry was posted in A CLICK A BLESSING TODAY, CHRISTIAN NUGGETS and tagged true worship. Bookmark the permalink.